 Beautiful next day flowers direct to your door, carefully crafted by our skilled florists and delivered to your chosen recipient's address, often in as little as 24 hours. Backed by our 100% satisfaction guarantee, each bouquet is as fresh as a daisy, representing fabulous value without a compromise on quality - guaranteed! Especially designed, individually created and carefully packaged by our skilled florists, our range of next day flowers - each of which is available for next day or named day flower delivery across the UK - are then delivered by our specialist courier company. 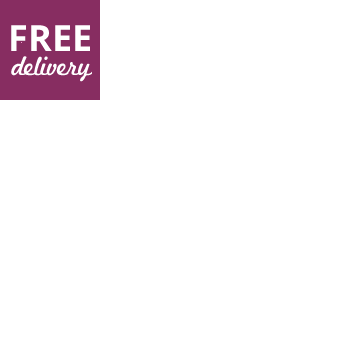 Whether to a home or work address, our skilled delivery drivers are well versed in delivering our bouquets in tip-top condition, across the UK, come rain or shine, from Merthyr Tydfil or Middlesbrough to Blyth or Brighton. Our forward thinking approach makes ordering flowers online a breeze, with our skilled team of proud florists and flower experts on hand to take care of your order and next day delivery. Our highly-motivated and completely dedicated team ensure each and every order goes without a hitch, with bouquets and arrangements which are not only better by design, but guaranteed to remain fresh for as long as possible. Why settle for the next best flowers when our gorgous products are available to order online with the click of a mouse? With experience in the flower industry spanning over 3 decades, we are passionate about everything we do and offer a service which is second to none. Available alongside our extensive range of same day flowers, our next day bouquets, flowers by post and house plants are available for delivery tomorrow when ordered before 7pm Monday through Friday. For Monday delivery, before 12 noon on Sunday. 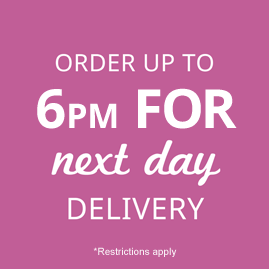 Now, with 6 day, next day delivery, there's no excuse not to send flowers!